While Star Wars fans wait anxiously until Star Wars Battlefront’s release next week, there is a way to earn in-game credits which you can spend on weapons, equipment, and other stuff, before the game’s officially out. I’m of course, talking about the Star Wars Battlefront Companion app, which can be downloaded for iOS and Android devices right now. With DICE confirming that Battlefront won’t have micro-transactions, that means players who want advance credits in the actual game need to actually do well with the app. Oh, yes! It’s a game all its own. You can download the iOS version here for your iPhone and/or iPad, and the Android one here. Those who want to tinker with the app via their desktop can do so as well. 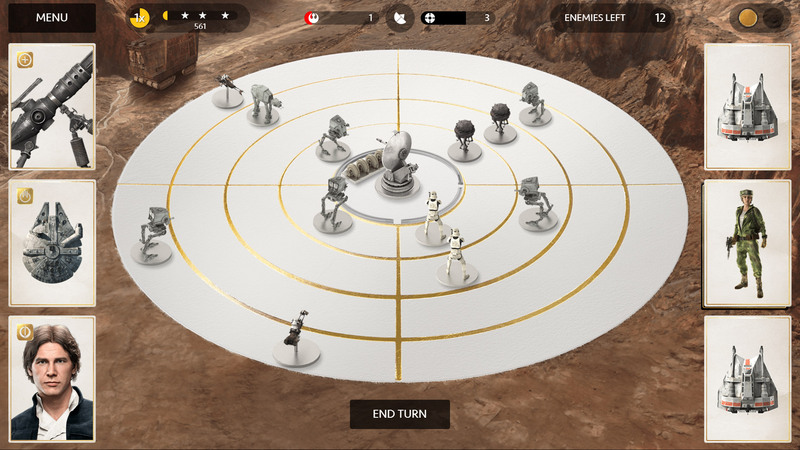 If you need more info for Base Command and how it plays, check out EA’s site announcement of the app. You can also check out the gallery below to see what Base Command game looks like as well. Are you planning on playing Base Command? Word is, it’s a good game all its own. I’ll definitely give it a go so I can buy some in-game stuff the moment I get my mitts on Battlefront this November 17.